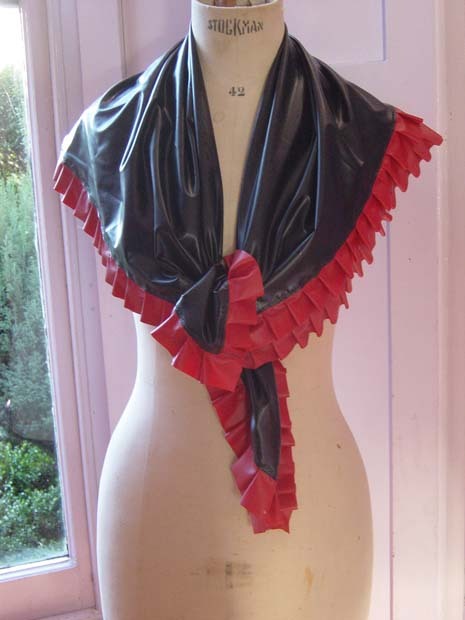 A shawl with contrasting frilled edge. They make a great way to dress up a garment. One size only.